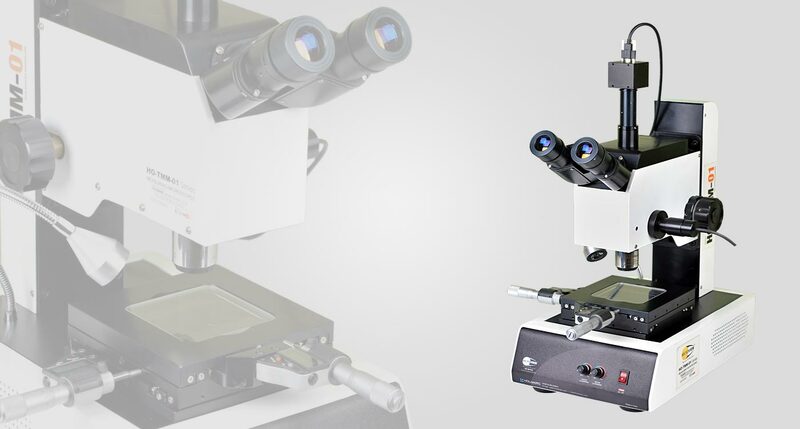 Holmarc’s Tool maker’s microscopes are multi-functional measuring instruments which are primarily used for inspection and measurement of miniature mechanical and electronic parts and tools. These microscopes are used to view and measure linear distances, thread pitch, thread angles, tool edges, tool wear surfaces etc. and are ideal for photo-lithographic labs, nano-technology labs, biomedical labs etc. Our tool maker’s microscopes are equipped with a cross hair reticle on the eyepiece, coupled with protractor on the tube. The cross wire acts as a reference point for taking fine measurements. The XY stage is fitted with precision micrometers having a resolution of 10 microns and the measurements are taken by the movement of the stages. Digital micrometer with 1 micron resolution is available as an optional accessory. The instrument uses high bright LED for transmitted illumination as well as for oblique illumination. The standard model consists of 2X microscope objective and 15X eyepiece. Additional eyepieces and objectives are available as optional accessories. All optics are coated with broadband multilayer AR to get the clear and flare less images. 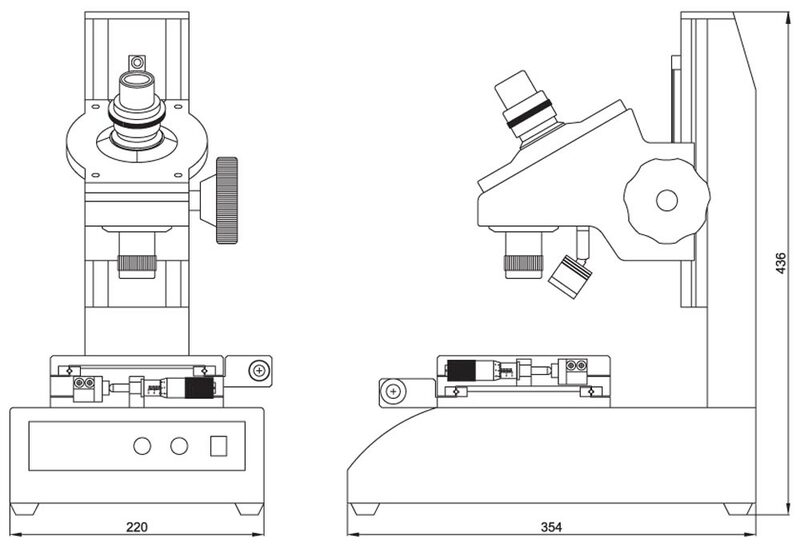 Holmarc offers two models of Tool maker’s microscopes which differ only in XY measuring stage, model no. HO-TMM-01 and HO-TMM-02. HO-TMM-01 model is fitted with 25 x 25 mm travel XY stage and HO-TMM-02 is fitted with 50 x 50 mm travel XY Stage. Both transmitted and reflected Illumination intensity can be adjusted. Angle measurement is performed easily by turning the angle scale disc to align the cross-hair reticle with the work piece image. Bright field observation, clear and flare less image, wide field of view.